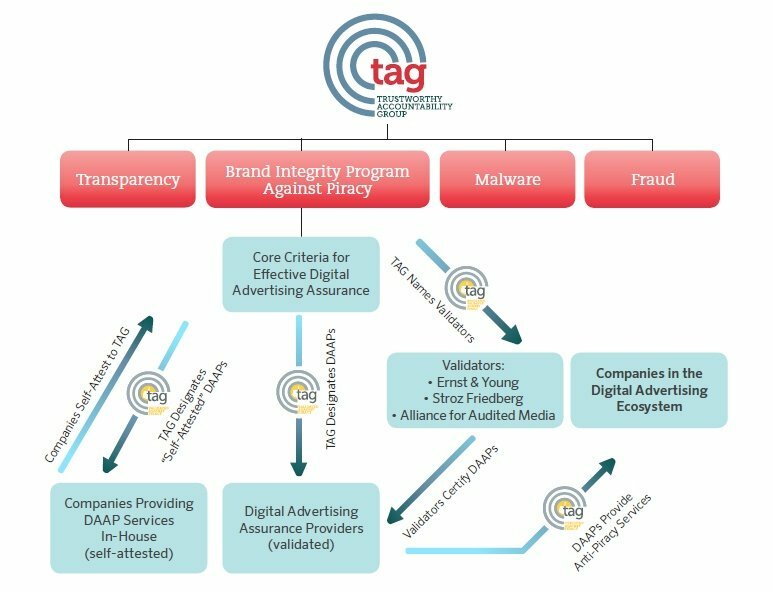 Earlier this week, TAG CEO Mike Zaneis helped launch a new ad industry initiative – the Brand Safety Institute (BSI) – to advance brand protection through research, education, and professional certification. The centerpiece of BSI’s efforts will be a rigorous Brand Safety Officer certification program offering training and accreditation for industry executives who manage brand safety and related issues within their companies. BSI and TAG also jointly released a new white paper highlighting the confusion around the brand safety issue and offering several recommendations for industry action to address it. Based on detailed interviews with more than 20 senior executives with leading companies across the digital advertising ecosystem, the BSI/TAG white paper found significant disagreement over the scope of the brand safety problem, as buyers felt it included brand ROI issues like ad fraud, while sellers tended to limit it to association with inappropriate content. The white paper recommended that companies create a new position of “Brand Safety Officer” to ensure the appropriate expertise and training to address these complicated challenges. Coverage on the launch included an exclusive in AdExchanger, “Brand Safety Institute Aims to Smarten Up the Digital Ad Industry,” as well as additional coverage in MarTech Today, MarTech Series, AListDaily, and eMarketer. In addition, both John Montgomery (GroupM) and David Green (NBCUniversal) are continuing to serve as co-chairs for the Anti-Piracy Working Group, while Susan Cho (OpenX) is stepping down from her role as co-chair of the Anti-Malware Working Group, effective in August. TAG Working Group chairs and co-chairs are drawn from TAG’s Leadership Council, allowing those members an opportunity to shape and advance TAG’s work in the areas of greatest relevance and expertise to their companies. If you are interested in joining TAG’s Leadership Council or otherwise participating in any of TAG’s Working Groups, please contact info@tagtoday.net. Congratulations to our newest chairs and co-chairs, and our deepest thanks to existing and former co-chairs for the important work they have done to advance TAG’s mission. Earlier this month, TAG released updated anti-fraud and anti-malware guidelines for all program participants, including Version 3.0 of the Certified Against Fraud Guidelines and Version 2.0 of the Certified Against Malware Guidelines. At the same time, TAG released Version 2.0 of the Best Practices for Publisher Sourcing Disclosures and Version 2.0 of the Technical Best Practices Against Malware. All of the news documents are available publicly on the TAG website. Companies enrolled in TAG’s Certified Against Fraud and Certified Against Malware Programs will also receive updated applicant packets including the relevant guidelines, as well as updated application materials. TAG will begin enforcing compliance with these updated certification and tool requirements in January 2019, but companies are encouraged to being working toward compliance immediately. For any questions on the revised guidelines or information on the upcoming schedule of CAF and CAM trainings, please contact Dominique at dominique@tagtoday.net. [Liodice] cites as an example the joint effort by the ANA, 4A’s and IAB to combat digital advertising fraud under the auspices of the Trustworthy Accountability Group (TAG). “That’s the type of progress we’re looking to make,” says Liodice. To create a clean and safe supply chain, we need players to abide by the appropriate policies. Here, IAB and TAG are leading the way. Trustworthy Accountability Group (TAG) is a cross-industry accountability program that aims to create transparency in business relationships and transactions. It is incumbent on everyone in the industry to vow to only work with TAG-certified companies. By exclusively partnering with TAG-certified companies such as Tremor Video DSP, brands will help ensure their ads run on legitimate platforms and make it harder for illegitimate players to stay in business. Last year, IAB made it mandatory that members register with TAG. This January, TAG announced that publishers must implement ads.txt in order to receive a "certified against fraud" seal. Ads.txt aims to prevent advertisers from buying unauthorized inventory programmatically by allowing publishers to publicly declare who is authorized to sell their inventory. Roughly half of all websites have implemented ads.txt, which is great—but that also means half of websites have not yet implemented ads.txt. Brands must consider this as they choose their advertising partners. Unless everyone agrees to only work with good actors, we will continue to have supply quality problems.